The Suunto Spartan Collection is the newest line-up of multisport watches, building on the success of Suunto’s Ambit series. After training for several years first with a Suunto Ambit 2, then an Ambit 3 Sport, and finally an Ambit 3 Vertical, I was pretty excited to get my hands on their top-of-the-line Spartan Ultra recently so I could put some of the new navigation features to the test. With an improved battery life (up to 26 hours at ‘good’ GPS resolution), a brand new waterproof color touch screen, and a more stylish profile that would be equally at home in the office as on the mountain, the Spartan appears to have been completely redesigned from ground up when compared to the Ambit series. Now with over 80 sport modes pre-loaded, it’s got a few extra bells and whistles like step/activity tracking, and a new and improved Movescount mobile app. But along with these and all of the standard features of previous Suunto models, the Spartan manages to feel much more approachable and user friendly. 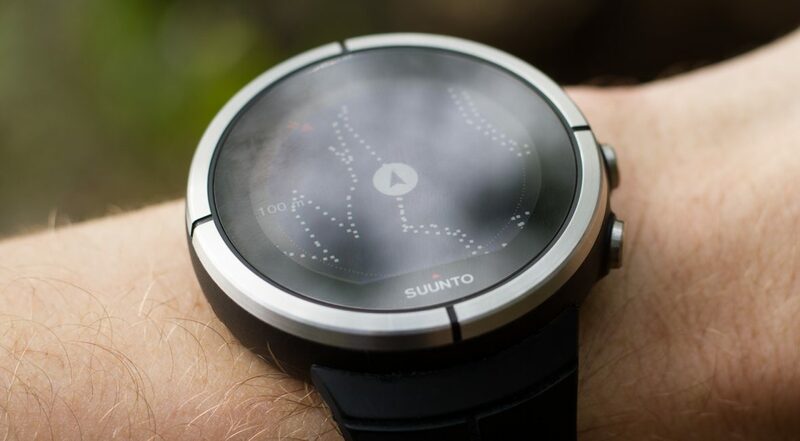 Previous models like the Suunto Ambit 3 Peak may ultimately have fallen victim to feature creep and an overly complicated interface that left many users only using part of the power under its sapphire glass face. As a tech-savvy power user, being able to customize the various screens for each sport mode and to create custom apps was all part of the fun for me. I’m not sure what percentage of other users who know how to do this (yet alone would bother) might be, but I’m willing to bet it’s small. Many people I know weren’t even aware you could pre-load routes into the watch, not to mention the Findback and Trackback tools which have got me out of a bind on more than one occasion! These navigation features are not only the most under-utilized but are the most powerful features of the Ambit series of watches in my opinion, and the most important when it comes to safety for trail runners who spend a lot of time in the backcountry. 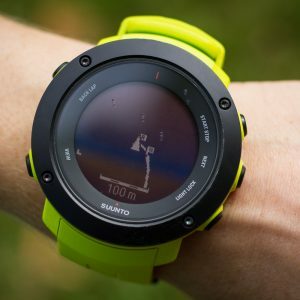 The Suunto Spartan has addressed this with a much more intuitive user interface, and a new approach to its use of navigation. It’s now easier to load and follow routes and to use the compass, and the Findback and Trackback tools have been replaced with the new fully integrated Breadcrumbs view. Let’s dive into each of the 3 ways you can navigate with the new Suunto Spartan Ultra. 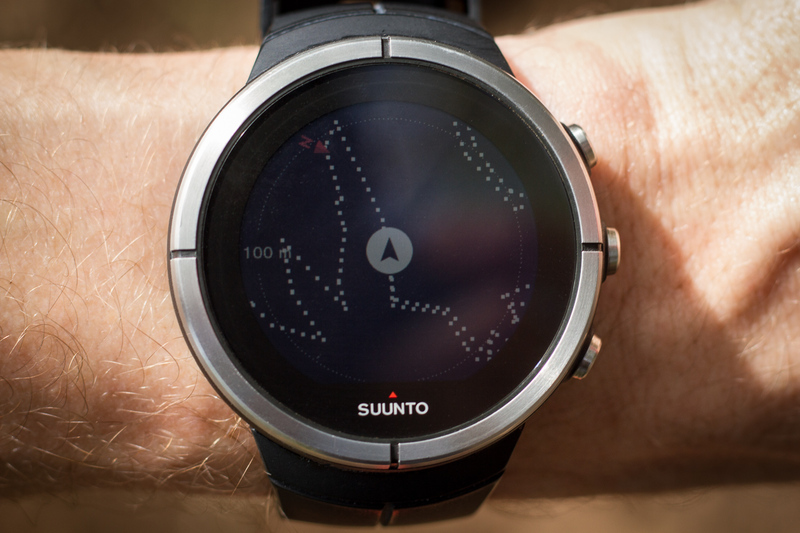 Upload an existing GPS file or create a route from scratch on Movescount.com and it will sync automatically with the Suunto Spartan using the mobile app, just like with the Ambit 3 series. On the Ambit 3, you had to go through a series of menus to load a route (which could only be done before starting recording), but now you can now do so before or after you’ve started your Move from the ‘Options’ menu (on a side note, it appears you can now also change the GPS accuracy on-the-fly if you notice your battery getting low during a Move, as well as enable/disable auto-pause). Once a route is loaded on the Spartan, it will be overlaid onto your navigation screen which you just need to page over a couple of times to see and is always viewable. You can also load the route from the main menu in order to navigate without recording any data. I used the route feature on my Ambit 3 while pacing a friend during the Hardrock 100 last year to help get us through Oscar’s Pass, a particularly challenging section of the course to navigate. You’re sure to be a hero if you can pull up a route just when your group thinks they’re lost in the backcountry or during a race! The Spartan still has a digital compass, tilt-compensated to give you accurate readings even if the watch is not horizontally level. This is now accessible from ‘Navigation’ just off the main menu when not in ‘Exercise’ mode. Unfortunately, the compass doesn’t appear to be accessible while recording, likely because it tends to use additional battery life so isn’t designed to be used for an extended period of time while also recording in Exercise mode (you should be carrying a good ol’ fashion compass and map as part of your 10 essentials anyway). The best new feature in terms of ease-of-use is the Breadcrumbs which replaces the Trackback/Findback features. This is now part of the standard navigation view which you can easily access by paging over a few times while in Exercise mode. Unlike before, this now appears to orient itself based on direction of travel instead using the digital compass. This means it should use less battery life when used for an extended period of time, even in conjunction with the routes feature which load the route overtop of your breadcrumbs. It also means that you no longer need to worry about holding your wrist exactly perpendicular to your direction of travel, but can instead just glance over at it from time to time as you run. Breadcrumbs on the Suunto Spartan Ultra. 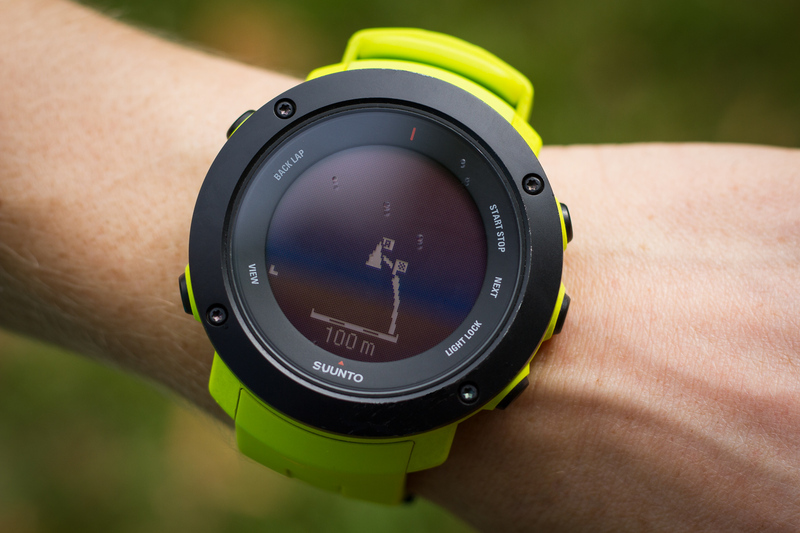 Trackback on the Suunto Ambit 3 Vertical. When returning from Sky Pilot a couple of years ago, a backcountry scramble in nearby Squamish, heavy clouds moved in making it almost impossible to find my way back through the valley. The Trackback feature on the Ambit was a lifesaver, allowing me to retrace my steps within metres. I hope that with the improved accessibility of the breadcrumbs feature on the Spartan, other runners might benefit from this safety net who otherwise wouldn’t have known how to access it. 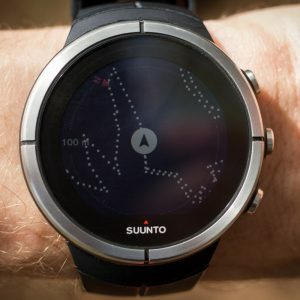 When the Suunto Spartan was released in August of this year, you could say the watch was still in beta mode, with many of its planned features still to come. Issues around reported poor GPS accuracy appear to have all been addressed in firmware updates in the fall, along with the addition of some of the core features that I really enjoyed in the Ambit series such as the ability to customize the screens for each sport mode. There are several other exciting features as part of the planned software updates coming soon to the Spartan, along with Points of interest navigation, support for training plans and structured workouts, and something called Route altitude profile navigation which sounds like a great feature for mountain runners.